Cover exposed parts of your tire changer, and give your clients’ wheels superior protection during tire changes, only with a Ranger Products wheel protection kit. 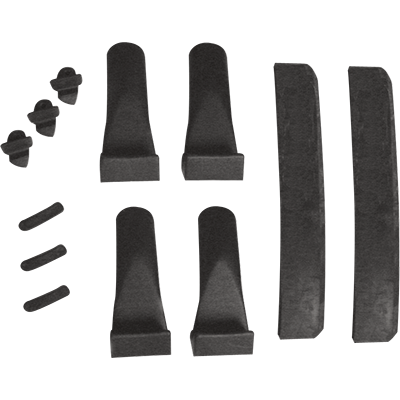 The wheel protection kit offers you more ways to save those wheels on Ranger tire changers. It comes with (3) roller replacement inserts, (3) duck head underside slides, (4) turntable clamp covers and (2) bead breaker blade covers. If you specialize in delicate alloy wheels, then you need this optional wheel protection kit. Interested in the Wheel Protection Kit?